The other big challenge facing Bell and its Nexus project is the commercial viability of this on-demand taxi system. The hourly cost of operating a helicopter starts at around $ 400 for smaller aircraft and can quickly rise to $ 600 for medium aircraft capable of carrying four passengers in addition to the pilot. The high price is what prevents the helicopter from becoming a widely used mode of urban transport. Bell must find a way to make the Nexus much more affordable for the concept to be a commercial success. In order to calculate whether the Nexus can be profitable, it is important to know how much users can afford to determine how much revenue a device can generate. In a non-probabilistic mini-survey, a very small majority of our readers answered that they were willing to pay between $ 20 and $ 40 for an urban trip with the air taxi service. This is surprising since $ 40 is the price of a taxi ride to the airport on the island of Montreal. 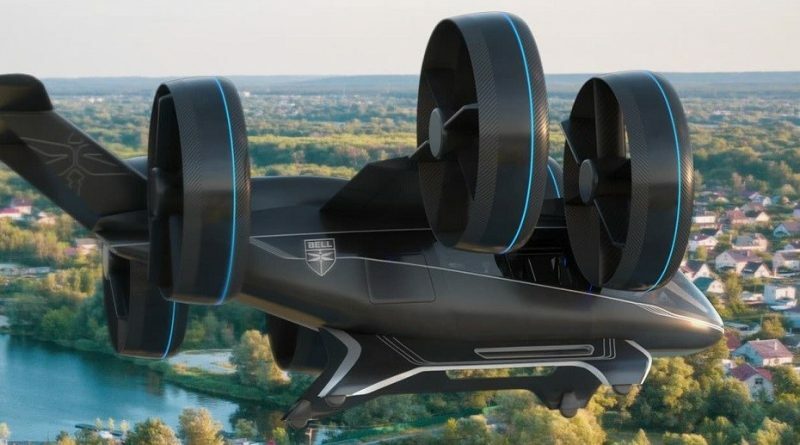 But when we take the time to think about it, Bell’s air taxi service is not for 100% of the population, because the demand would be much too high compared to the supply, especially at the beginning years. It is an utopia to think that in a short time, the air taxi system would replace car travel. The Nexus is more for those who need to save time and are willing to pay extra. The price of a taxi fare to the airport is $ 40, even if you double it at $ 80 it is still too low because in the far suburbs it is close to what a taxi user would pay. In order to truly target the right customer, a Nexus operator should charge between $ 120 to $ 160 for the first half hour of use plus an additional fee of $ 1.50 to $ 2.00 per extra minutes. 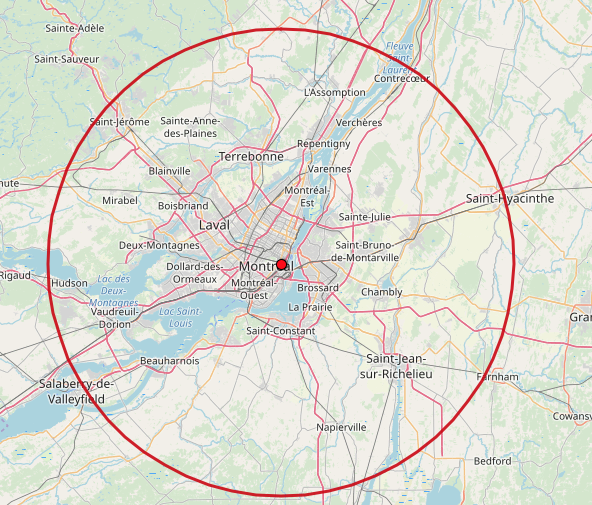 We quickly notice that cities such as St-Jérôme, L’Assomption, St-Hyacinthe, Contrecœur and St-Jean are within this circle. For a successful trip to the city center in less than 30 minutes, the Nexus would not need to fly at very high speeds, about 120 km to 150 km at most. On the other hand, it must be remembered that at rush hour, travel is almost all in the same direction, which means that the Nexus needs a repositioning time equivalent to its run to meet the demand. There is only one paid race per hour for an income of $ 120 to $ 160 an hour. 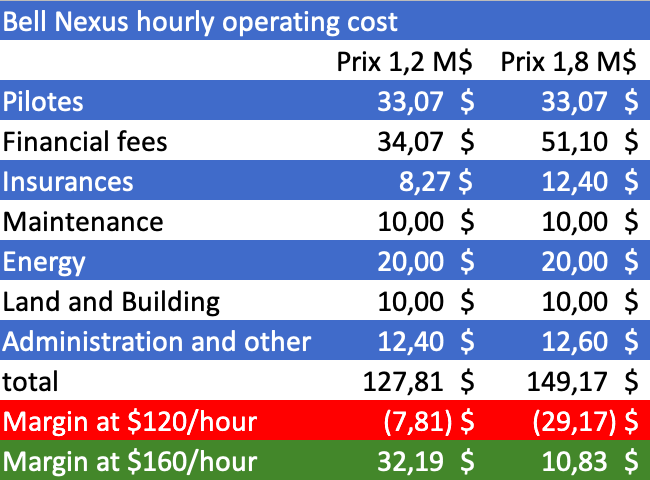 If the Nexus can be available 24 hours a day, demand should concentrated between 6:00 am and 8:00 pm with a dozen $ 120 or $ 160 runs during this period, for a daily total of $ 1,440 to $ 1,930. We exclude holidays and weekends in our calculation because outside the peak hours of the week, the time saved by the Nexus is not worth it. With 252 business days in per year in Quebec, a Nexus acraift has an annual revenue potential of $ 362, $ 880 to $ 483, $ 840 that we will divide by twelve for monthly revenues of $ 30, $ 240 to $ 40, $ 320. In its early days, the Nexus will need a pilot on board to cover 60 hours of operation per week; it will take two pilots per aircraft each earning $ 40,000 a year. Adding marginal benefits, the total would be $ 100,000 per year in salary for both pilots. That’s $ 8,333 per month or $ 33,07 per hour. Financial expenses related to its acquisition are expected to be the largest expense item of the Nexus; if we do not know its selling price, it is easy to evaluate its financial expenses per $ 100, 000 of financing. Thus, at an interest rate of 8.5% and a loan spread over 20 years, the monthly repayments per $ 100, 000 amount is $ 858.56. With a sale price of $ 1.2 million and a down payment of $ 200,000 the monthly repayments would be $ 8,585.60 and with a price of $ 1.8 million and a down payment of $ 300,000, they would rise to $ 12,878.40 a month. Then comes the insurance costs which usually represent 2.5% of the value of the aircraft, the administration costs of 10% to 15% of the gross income, the maintenance costs, the cost of energy (fuel and electricity) and finally other costs including the rental price or ownership of the landing areas. We are therefore going with a table to better represent the distribution of costs and the financial leeway of the Nexus by considering 3024 hours of use per year. For the cost of maintenance, energy and land and buildings we deliberately ignored the numbers usually used for helicopter operations. This decision is justified by the fact that the technologies used in the design of the Nexus completely change the way and the traditional methods of calculation and it is a real paradigm shift that we face. As shown in the chart, the room for maneuver is slim and the commercial success of the Nexus is based on intensive use a bit like the airliners. It must also be used in a fleet of at least ten devices to make it profitable. The maintenance cost of $ 10 an hour may seem very low, but if you multiply it by 3024 hours and there is a fleet of ten, then it costs $ 302,400 a year which is quite plausible. But what is certain is that Bell will have to rely on a high volume of production to be able to manufacture devices at a price allowing its profitable exploitation.